RETIRE IN STYLE BLOG: How do you replace the "job related" rewards in retirement? How do you replace the "job related" rewards in retirement? Like a windmill I have come full circle! What do you do that gives you the most satisfaction? When we were working, there were other things that kept us going aside from the income. One of those thinks was the awards for a job well done. After we retire, we lose that positive, motivating feedback...the awards and cudo's don't come our way. We need to find a motivation within. "Occasionally my blog will be mentioned on a BIG website...."
I have know people that just couldn't find a worthwhile outlet for the energy the employment required. They tried try hobbies or sports or reading or even going back to work. Those are all wonderful things if they work for you. There is no right answer. It may be a little of a lot of things. The trick in this is finding your passions...those things you love and have done in a past life or dreamed about doing in retirement. Some of those things may be a transition to the bigger passion. Traveling may be what you have always wanted but unfortunately most of us cannot afford as much as we want. Finding a fulfilling passion in retirement was no problem for me. I have always loved the process of self-taught learning. I suppose you could say that I am a "research junky". However, like many people seeking a job, I needed a place to work/play that would require that particular skill...if you are or were a person that had a talent but didn't know how to use it in a job search, I am sure you know what I mean. I think those of us that are retired have a wonderful opportunity...we can experiment with hobbies. If we don't like it the hobby and quit, we still get our retirement income. It is very liberating. One day, if you work though the process of seeking, your passion will be laid at your feet. Then you only need to answer the questions: HOW? WHY? WHERE? Almost 5 years ago my son invited my husband and I to visit him for three weeks in China. It was during the visit, I shared my secret passion to write with my son. I don't think I was even conscious of my yearning to write until the words came out of my mouth. I had mentally set up road blocks...who would care, who needs to be serious, why would I write if I couldn't interact with other people? In other words why would I write, where would I write and how would I go about doing it. My son and daughter-in-law had the perfect answers. So it was that was during the visit I got the little push I needed to get on with what has become my avocation. I was introduced to the world of blogs. Blogging was just becoming a mainstream thing. Mommy's started blogs for Etsy shops and families began "journaling" online. I wanted to send missives home to my grandchildren about our visit to China so they could share with their classmates and I wanted them to be able to follow our adventure immediately. 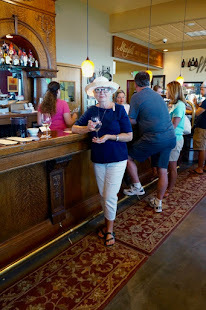 My son and his wife helped me set up a blog called Barbara's Travels (renamed It Crossed My Mind Blog). My thinking was that, if they were interested, they could find out what was going on in our lives even when we were apart...but that is another story. For a traveling pair with a limited income, my husband and I were getting around quite a bit. I had more material to write about than I could keep up with. I was off and running! Since then I have learned about story writing, technology, style and life in general. I have connected with very interesting bloggers and learned from them. Then there was the research...it was the thing I loved best. Since the start of my blogging life, I have sorted my material very much like a kindergartner sorts blocks. Different styles of writing have different blog homes. I love the challenge. Now here comes the beautiful part of the full circle. 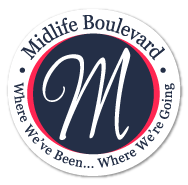 This blog will be mentioned occasionally on a BIG website as a place for people to read about retirement life because this is a rubber meets the road kind of blog. 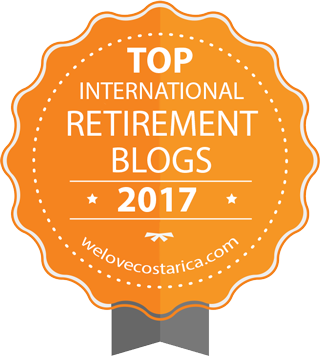 Today I found myself on Business School Directory in a post called 40 Best Blogs for Your Retirement. Now, just so you won't think I am bragging, I will tell you that I am number 40 on the list! That made me smile. However, the list was categorized so I still was very pleased. 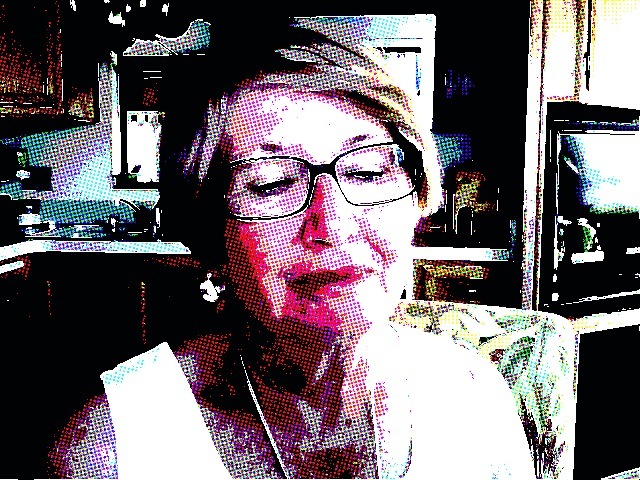 I am also in the link list for the very big style blog for older people called Advanced Style. Ari Cohen commented on his blog that he would be choosing some additional links to add to his blog list if we would let him know that we wanted to appear. So there I am in the blog list right between Refinery29 and Sea of Shoes. Ari calls his list "reading material"...I liked that a lot! Are there other places? I don't know. I am a member of linkedin and Networked Blogs (facebook) I write on HubPages and Generation Fabulous. I try to keep up on who is visiting and what they were searching for when they visited one of my blogs. Even staying informed about statistics has turned out to be a challenge. I continue to learn. I don't think I will ever become tired of this blogging thing. When I am dissatisfied, I just make a little change and it all seems new again. And the cudos come just often enough to keep me going. Round and round we go!